Well what a week for weather. Gale force winds, so much rain and yet more flooding. After the summer we’ve had maybe it was too much to expect autumn would be kinder to us all. We’ve been lucky. We lost a fence panel to the wind but this can be replaced fairly easily come spring and the allotment is squelchy to say the least but compared to those who have had their homes inundated with flood water it’s nothing. Much of the countryside around us is under water. 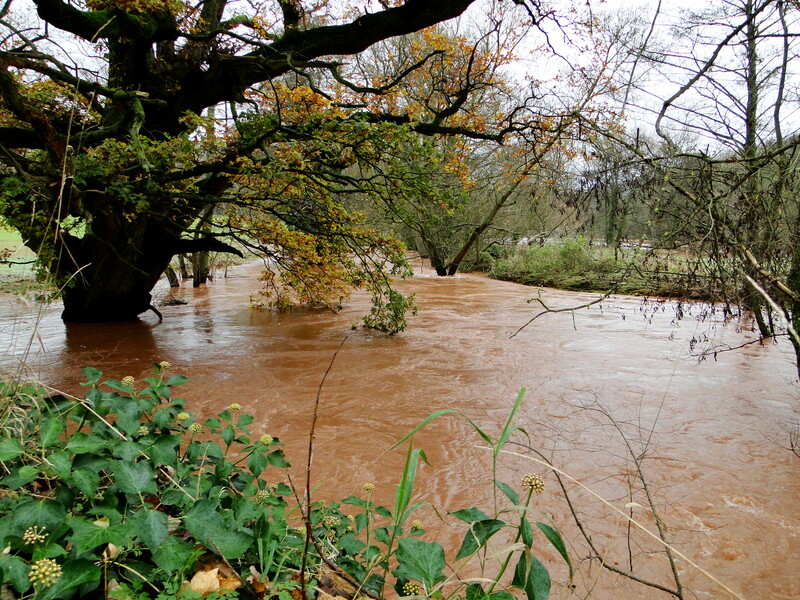 The two main rivers, the Usk and the Wye have broken their banks and because we had such a wet summer the water table is already at full capacity. As a result, water is lying on saturated ground. It’s hard to tell what is river and what is a field in places. 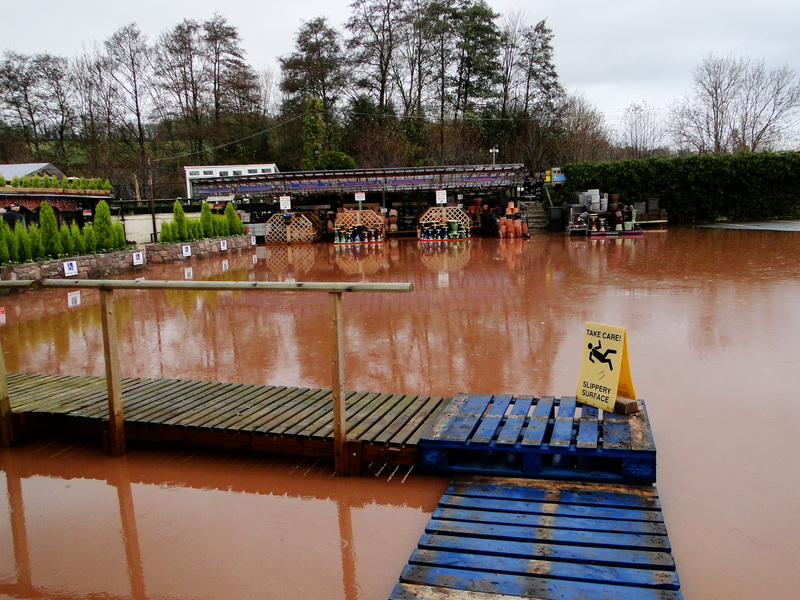 We popped into our local garden centre on Sunday to find the car park flooded and a makeshift walkway in place to access the shop. Eventually the water will subside and the ground will dry out but the consequences of so much rain go beyond the immediate problems of flooding. For farmers and gardeners the impact on the soil can be significant. Nutrients are held in the soil by electrical charges and are released into a film of liquid called soil water after a series of chemical reactions and exchanges. This soil water is held around soil particles and plant roots are able to absorb nutrients that are held in it. However, after lots of rain this film of water becomes so thick and heavy the soil cannot hold onto it and the nutrients are lost as water drains away. Heavy rain is to be expected over winter and in agriculture the ground is treated as being totally deficient in nitrogen by spring. Nitrogen, essential for leafy growth is a particularly soluble nutrient. For farmers, soil testing and monitoring of nutrient levels has become an increasingly important part of their job, allowing them to increase yields but use expensive fertilisers only when and where they are needed. 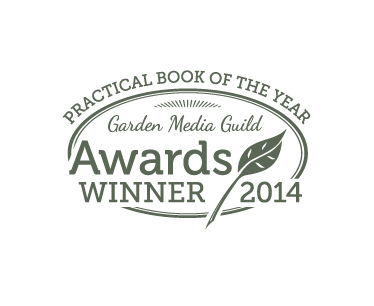 For gardeners it’s a very different story. Incorporating compost and manure is normally enough to ensure a fertile soil in our garden or on the allotment. The major nutrients, nitrogen, phosphorous and potassium are those that plants use the most and can be satisfactorily replaced with organic matter. Generally, it is uncommon for soils to lack the trace elements such as boron and manganese that are vital to plant growth but are only needed in tiny quantities. However, it is difficult to know how the unusually heavy rain this summer followed by the wet autumn will have affected nutrient levels in our soil. Certainly, tests of agricultural land are showing significantly lower levels of nutrients, although not all of this can be attributed to just the rain and is a result of changes in farming practices. I’ve never felt the need to test my soil before other than doing a pH test. Listening to Gardener’s Question Time yesterday though I heard Christine Walkden say that nutrient leaching has been a significant problem this summer. Certainly some plants on the allotment have struggled this year and whilst I’m sure some of it was simply down to the lack of sunshine and warmth some of it may well have been down to a lack of the vital food they needed. Sandy soils and those with little organic matter which already have good drainage are particularly prone to nutrient leaching but we’ve all had so much rain this year that it could well be a problem for a lot more of us. It is possible to buy kits which enable you to test your soil but these will only allow you to check the levels of the 3 major nutrients, nitrogen, phosphorous and potassium. These are the most essential though. 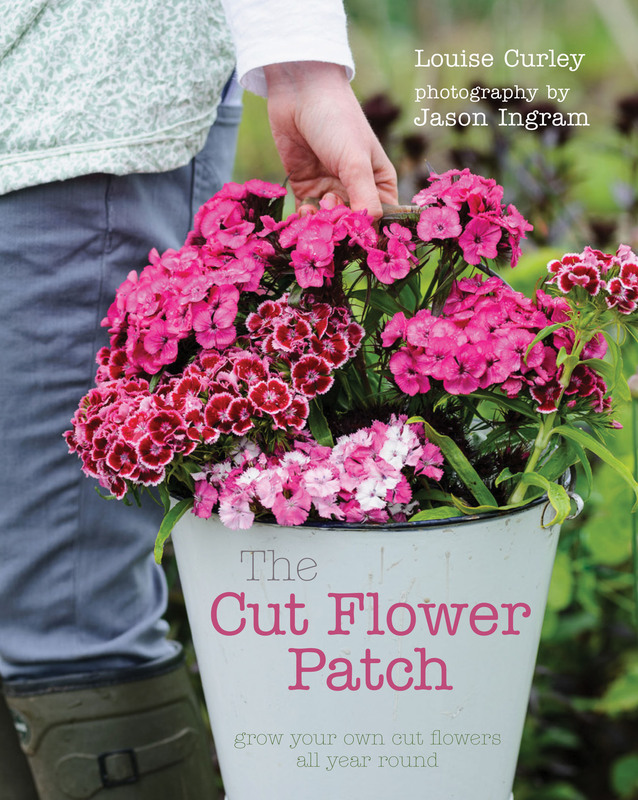 They can be bought for between £20 to £30 from most of the major online gardening suppliers. Having never used one before I would love to hear if anyone else has had experience of using them, whether they were easy to use and were worth the trouble and cost. It’s also possible to have your soil analysed by the RHS. A service available to both members and non-members, the charge being £25 and £30 respectively, it gives you the pH level, an idea of your soil structure, the level of organic matter in the soil and the levels of the major nutrients. It is certainly something I may consider. Growing green manures is one way of protecting soil over winter. The leafy growth protects the surface of the soil from damage and the plant absorbs nutrients and holds on to these in the plant which are then released back into the soil. The problem for me this year was that I didn’t have any free ground to sow the manure into in September and October and my experience last year was that the seed struggled to put on enough growth to be useful if sown in mid October. Mulching with manure or compost will again protect the surface of the soil but there can be issues with manure regarding the leaching of nitrates into water courses. 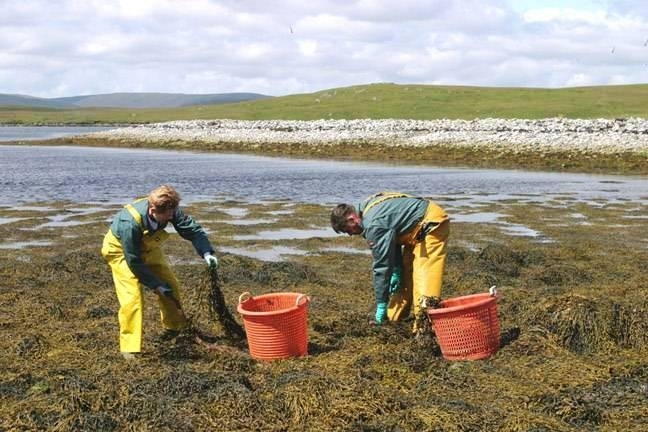 Although farmyard manure has much less nitrogen that is immediately available, unlike poultry manure, applying it to soil when there are no plants actively growing to take up soluble nitrogen means, particularly in periods of heavy rainfall, that it may leach from the soil. Although, just to confuse matters some growers believe nitrogen isn’t so readily leached from soils in the first place. Nutrients are not only important for the plant, when we then eat that fruit and veg it is those nutrients that have allowed the plant to grow that we then absorb. It matters to all of us that our soils are healthy because in turn we too will be healthy. Perhaps the only way to find out the impact of all this rain is to test my soil. I decided to get sowing some seeds directly into the ground the other day. I don’t sow many seeds this way. Experience has taught me that the seeds and seedlings are easy pickings for slugs, snails and mice. Unlike plants in the garden I can’t get up to the allotment as frequently to check how everything is doing so I much prefer to start most of my plants off at home in seed trays, pots and modules, where I can nurture them to a good size before releasing them into the wild to fend for themselves. By this point they are much more able to cope with whatever the allotment might throw at them, whether its pest or weather related. There are some seeds, however that prefer to be directly sown into the ground. They don’t like having their roots disturbed and it’s just as well really, with a limited amount of space to sow and grow on seeds it’s a bit of a relief that some can go straight into the soil. Of course with direct sowing does come problems. If you sow too early and the soil is still cold they will sulk, well wouldn’t you? Last year we had such a dry spring that lack of water was the problem. Quite a few of my early sown seeds didn’t germinate because I found it difficult to keep the seed drills moist. This isn’t normally a problem you would expect in spring, that’s what April showers are for after all, to provide just the right amount of moisture interspersed with sunny spells providing the warmth to provide the perfect conditions for seeds to germinate. Whether it’s climate change or just a blip in weather patterns we might not be able to rely on these perfect conditions in future. The ground feels like it is warming up nicely. The old farmers’ way of checking the soil apparently was to sit on it with a bare bottom!! I have to say I didn’t go to these lengths. I don’t want that sort of reputation at the allotment and I find hands do a good enough job. If the soil feels nicely warm and it’s not too wet then it should be perfect to sow. Another good indicator is whether annual weed seeds have started to appear. If the conditions are right for them, your seeds should be fine too. The weather here in Wales has been glorious for 2 weeks now and the soil is quite dry so there are a few tactics I’m going to adopt to see if I can keep the soil moist enough for the seeds to germinate. 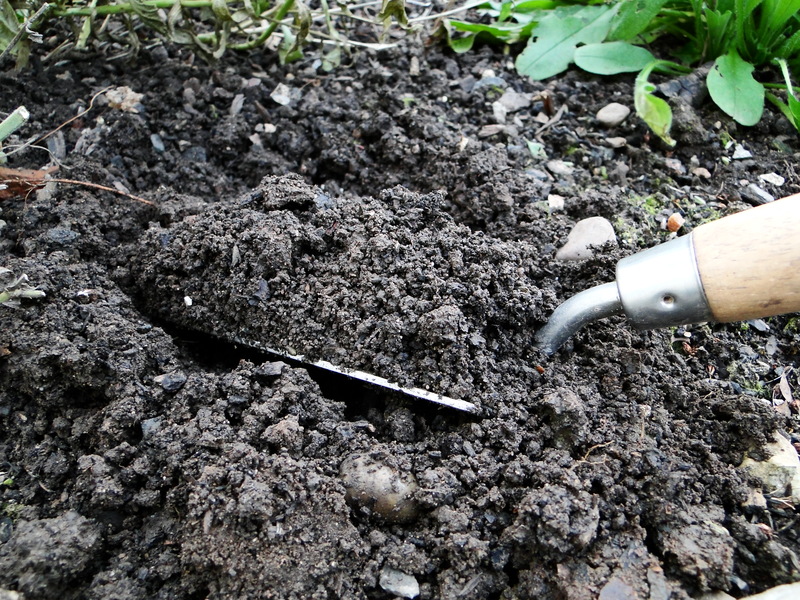 The first task is making sure you’ve prepared the soil well with some organic matter, this helps to retain moisture not just in the initial stages but hopefully throughout the growing season. Then it’s a good idea to water the seed drill before sowing and finally, once you’ve covered over the seeds, mulch the drill with dry compost which helps to retain the moisture under the surface rather than it evaporating away. That’s the theory anyway, hopefully in practice it will work. 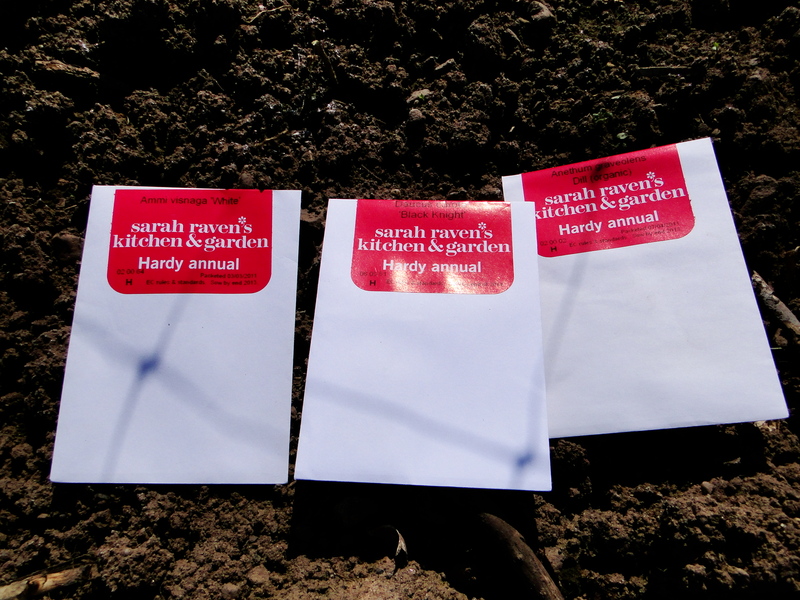 The seeds I sowed today were two varieties of beetroot, ‘Boltardy’ and ‘Chioggia’. I had soaked the seeds overnight. I can’t remember where I read this tip but I had much better germination rates doing this last year. I also sowed some dill. 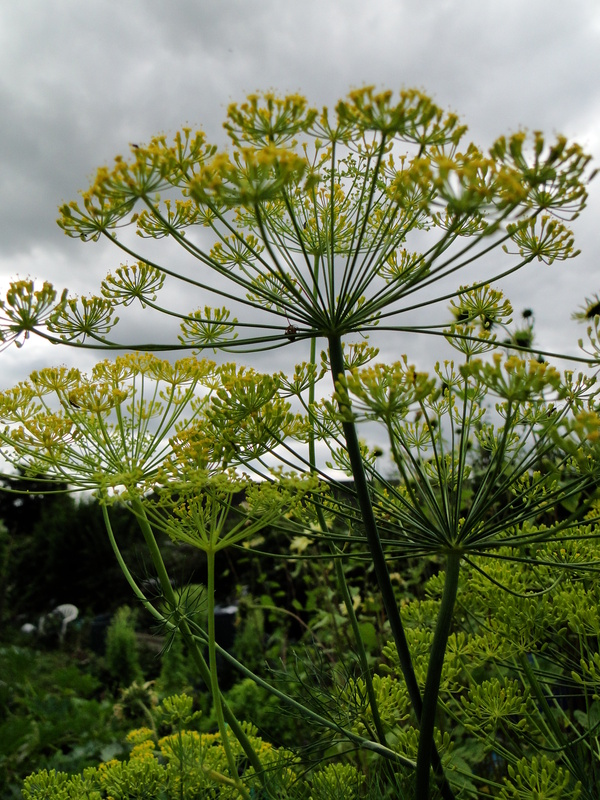 I love dill’s feathery foliage chopped into potato salads, in omlettes and in sauces for fish but an extra benefit is the beautiful yellow flower heads make nice fillers in cut flower arrangements. The other seeds were for my cut flower patch, Ammi visnaga and Daucus carota ‘Black Knight’. Both of these produce umbellifer flower heads which give arrangements an airy feel. I grew Ammi majus last year but visnaga is a chunkier form and ‘Black Knight’ is a cousin of Ammi majus but with crimson-black flowers which looked so unusual in the seed catalogue I just had to give it a go. Certainly Ammi majus was loved by hoverflies last year, so I hoping both these additions to my cut flower patch will benefit insects too. 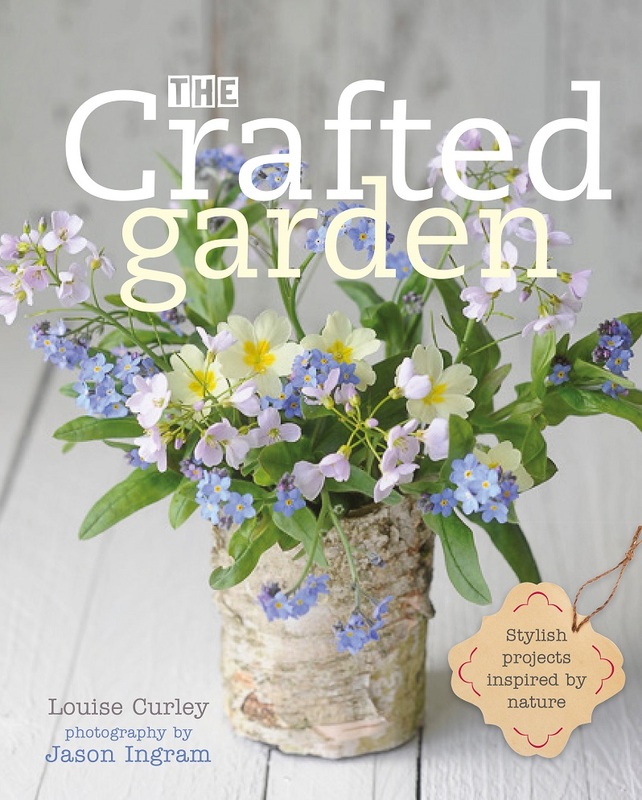 I’d love to hear whether you started sowing outdoors yet. An article in a magazine caught my eye the other day, scientists were looking for gardeners to take part in an experiment, the Big Biochar Experiment to be precise. I’d heard a bit about biochar but didn’t know much so out of curiosity I took a look at the website. Several days later I now have a bag of biochar soil conditioner in my kitchen waiting to be used on my allotment. So what is biochar? Well it’s the result of heating plant material, known as biomass, in a closed container with little or no air allowed in. As the plant material is broken down half of the CO2 that the plant absorbed during it’s life is released but crucially the other half is trapped within the remains of the burning process. The potential importance of this is huge. Currently a large amount of waste from agriculture, forestry, saw mills and paper making facilities is burnt or sent to landfill. When this waste decomposes all of the CO2 trapped in the material is released into the atmosphere contributing to the rising levels of CO2 in the atmosphere. To be able to reduce this figure by half would make an enormous difference to the global need to reduce CO2 levels. Unlike other plant material, say that put in compost heaps, the carbon stored in biochar breaks down incredibly slowly, over the course of hundreds and even thousands of years. However, this is not the only advantage of biochar and this is probably the bit that is of most interest to food producers, whether that’s on an allotment or on a farm. So far, trials have shown that biochar improves the structure of soils, aids the breakdown of pesticides, increases yields and improves root development. Biochar does this because it’s particles have a high surface area. This creates areas in the soil where beneficial fungi and other organisms thrive, it improves the water and nutrient holding capacities of the soil and raises the soil’s pH which is important as most soils gradually become more acid over time. The use of biochar is not new though. Humans have been creating biochar for millions of years. We know how the ash and charcoal left after forest fires improves the fertility of the soil and in the Amazon early settlers created the highly fertile Terra Preta soils with a slash and burn technique. Despite this knowledge studies into the benefits on European soils are only in their early stages and this is where the Big Biochar Experiment comes in. The team of scientists behind Oxford Biochar Ltd, a not for profit organisation, want to see if biochar can be used effectively in a sustainable way. 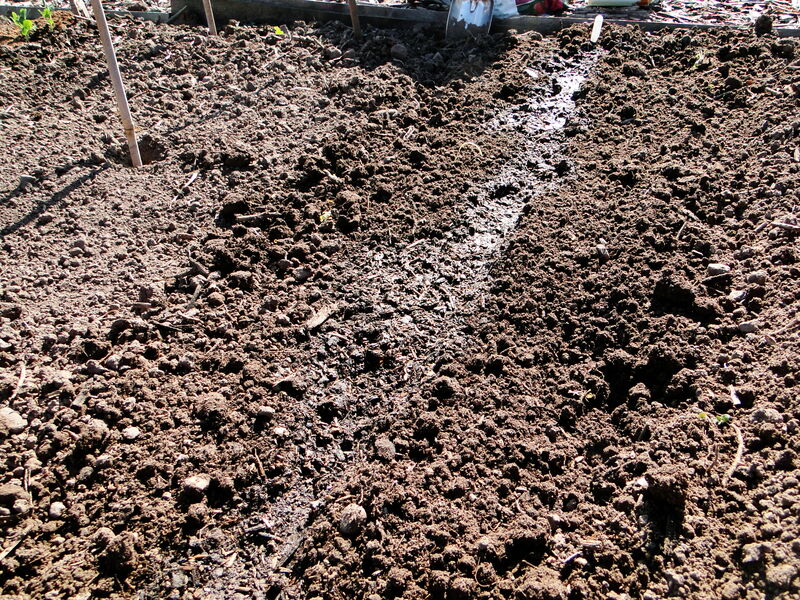 It is the first major experiment on the use of biochar in gardens and on allotments. As yet the scientists don’t have enough data to assess fully the potential benefits of biochar. And this is where us gardeners can help. 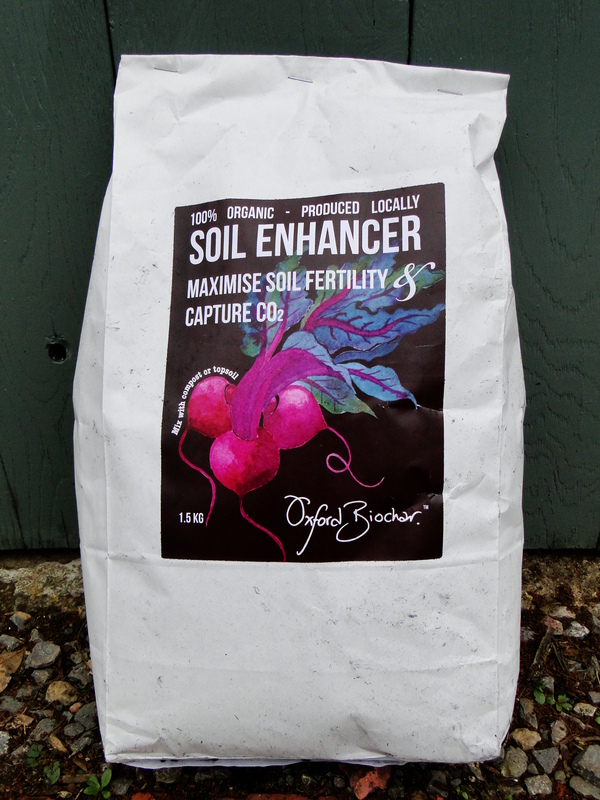 To take part all you have to do is register and you will receive your own bag of biochar soil enhancer. You then create a bed 1 metre by 1 metre as a control and then 1 or more 1 metre by 1 metre beds where you incorporate the biochar. The seeds you sow in all the beds must be the same, sown at the same time and the same density. Then as the summer goes on you need to record the germination rates, health of the plants and yields. You then send this data to the scientists where they will collate and study the information. The scientists are still looking for more volunteers for the experiment so if you’re interested go to the Big Biochar Experiment where you’ll find more information about the potential benefits, how to register and what is involved in the experiment. So now all I have to do is work out where I’m going to put the biochar and then the experiment can begin. A couple of years ago I studied horticulture at my local college. I found the whole science of plants fascinating. One of the areas that has really captured me is soil. I know, when I looked at the course and saw a whole term devoted to soil I did think I was going to need a good supply of biscuits and tea to get me through it. Even our tutor picked up on the apathy in the class to the topic. How can soil be that interesting? Well there is a whole world of activity going on in your soil, or at least there should be if you want your plants to do well. And that’s the point, if you love plants you really need to love your soil. So why is soil so important. Well, it provides an environment for the roots of plants to grow. Roots need to breathe, absorb nutrients and water and be able to push through the soil as they grow. A good soil will have enough spaces to hold air, water and nutrients and will be friable enough to allow the roots to move through the soil but will still have enough structure to give the plant stability. It will provide the right nutrients in sufficient quantities for a plant to grow and reach maturity. But it is not just the roots of plants that are alive under the soil. A good soil will be teeming with life, although a lot of it is too small for us to see. From tiny bacteria and mycchorizal fungi, to nematodes and earthworms an enormous number of organisms are participating in a food chain where dead plants and organisms are being broken down releasing nutrients that plants can absorb and creating humus. Humus is the fully decomposed remains of organic matter and is so important because it can hold onto a lot of water and nutrients. Some organisms, types of bacteria, fix nitrogen gas from the air in the soil making it available for plants to absorb. Other organisms, particularly worms improve the structure of the soil, moving through the soil and creating channels which help to aerate the soil, improve drainage and provide spaces for roots to push through. Soils are formed over a very long period of time from the weathering of rock and the gradual build up of organic matter and are made up of different proportions of clay, silt and sand particles. Predominantly clay soils suffer from poor drainage, good water and nutrient retention and tend to be slow to warm up in spring. Soil made up mainly of sand particles has very good drainage but as a result has poor water and nutrient retention but is quick to warm up in spring. The holy grail for gardeners is a loamy soil which has a good balance of all 3 particle types. If you have a sandy soil or a clay soil you can’t do anything to change this but you can improve the soil to minimise the negative impacts of your soil type. So here are my tips for loving your soil. Don’t walk on your soil when it is wet or frozen. This leads to compaction, squishing soil particles together, making fewer spaces for air and water to flow. In severe cases plant roots will die and so too will all those organisms. Incorporate lots of organic matter. This will improve drainage on clay soils, hold onto nutrients and water on sandy soils and because it is dark in colour will help the soil to warm up more quickly in spring. It will also boost the numbers of organisms in your soil and contains nutrients that once broken down will be released for plants to absorb. Grow green manures. They will protect soil from erosion from heavy rain and wind and the roots will open up the structure of the soil. Try not to disturb the soil too much. Lots of digging isn’t just bad for the back, all those little creatures living in the soil don’t like to be disturbed. And finally, don’t use chemicals on the soil, whether it’s weedkillers, fertilisers or pest control they are all harmful to the delicate ecosystem of the soil. Earthworms, in particular are especially sensitive to these chemicals.